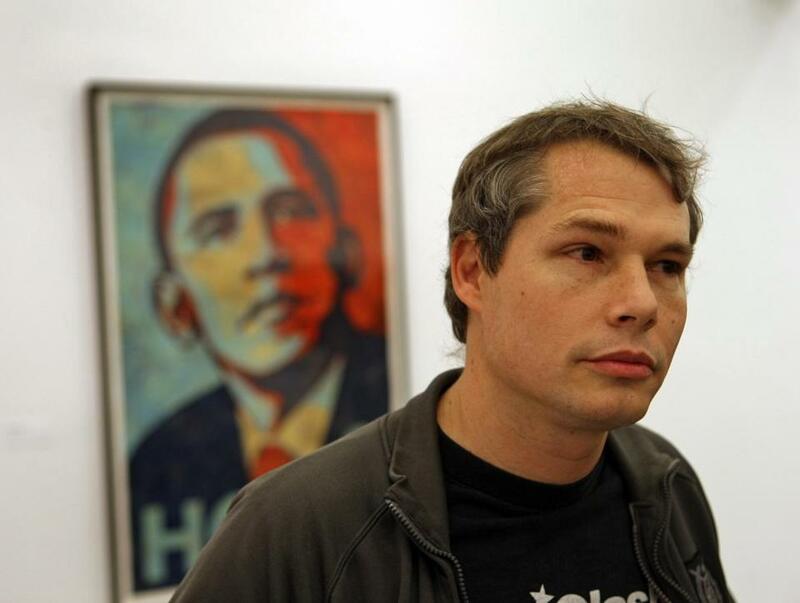 Artist Shepard Fairey with his portrait of former President Barack Obama. 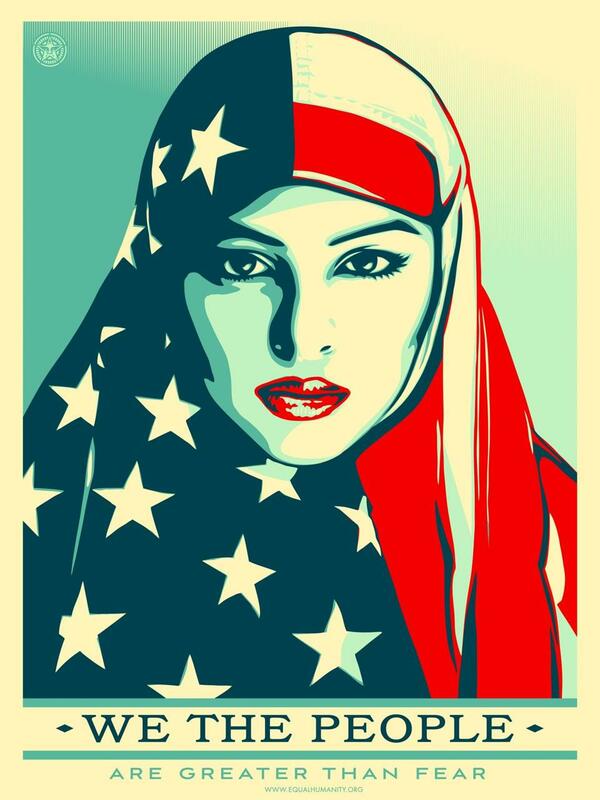 Nearly a decade later, artist Shepard Fairey has returned to politics — but instead of using the image of the country’s newly inaugurated 45th president, he’s chosen images of three women to represent “We the people,” including a woman wearing a hijab patterned with American flag stars and stripes. 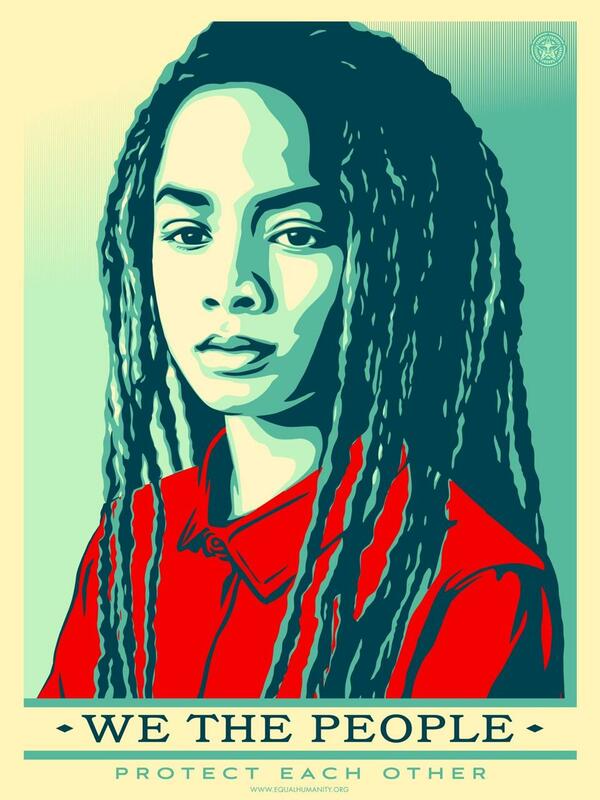 Fairey, a Los Angeles-based artist, won worldwide fame for creating a red, white, and blue portrait of former President Barack Obama, with the single word “hope” written beneath it, during the 2008 election. The project raised more than $1.3 million on Kickstarter and included additional posters by artists Ernesto Yerena and Jessica Sabogal. 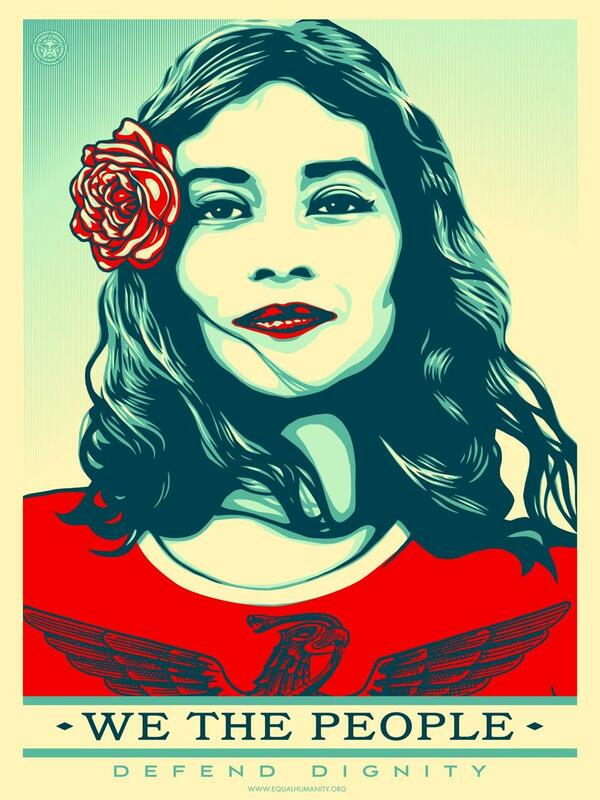 On his Twitter page, Fairey is encouraging people to carry the posters in Saturday’s Women’s March, a series of about 300 related demonstrations organized across the US, including in Washington, Los Angeles, and Boston. One of posters appeared as a full-page ad in the Washington Post on Friday. Fairey’s Obama portrait was reused in other work, including a poster for Obama’s first inauguration. It was also the subject of a lawsuit from the Associated Press, which said Fairey reused one of its photos of Obama without permission — the case was later settled. In 2009, when Fairey was in Boston for a show of his work at the Institute of Contemporary Art, he was arrested on two outstanding warrants, where were reportedly related to charges of vandalism.